Although unsupported by scientific observation, there is a long enduring legend that swans are mute but sing beautifully and sadly before they die. So, depending on the legend and not the scientific method, any gesture or performance undertaken right before death is referred to as swansong. 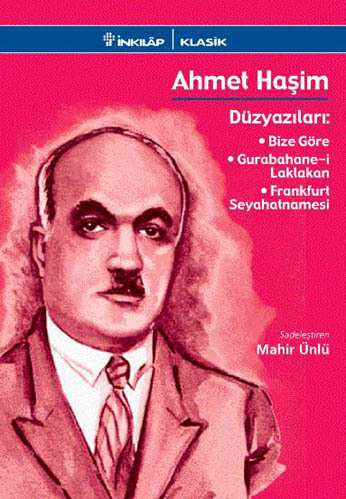 If we thought of a poet singing the last song of classical Turkish poetry, it would have to be Ahmet Haşim. Living during the last quarter of the 19th and the first quarter of the 20th century, Haşim portrayed through his moving poems the image of a dying civilization. His most famous line depicts the gap between generations: "We are not accustomed to the generation who cannot understand sullenness." Really, the enthusiastic first generation of the young Republic of Turkey could not understand the annoying sullenness of the generation at the end of the century of the old and dying Ottoman state. Yahya Kemal, a comrade of Ahmet Haşim, even saw the new generation as a band of bastards who had no idea of the official poetic attitudes of the past. Haşim wrote and published his first poems in 1901 when he was still a student at the Sultani. A dozen of his early poems were published in literary journals, but Haşim quit writing poetry for a couple of years and excluded these early poems from his official books. So, the swan should die after singing its best song, which I believe was written by Haşim. Haşim was born in Baghdad in 1883, to an Arabian family of scholars and bureaucrats, the Alusizades. His father, Ahmet Hikmet Bey, was a sub-governor. Mahmud al-Alusi, a famous "mufassir" (interpreter of the Quran) was Ahmet Hikmet's grandfather. Haşim's mother, Sara Hanım, also came from a notable Baghdad family, the Kahyazades. Haşim was the eldest of three siblings, two boys and one girl. Haşim moved with his family from town to town in the Arabian part of the Ottoman Empire because of his father's work and so was not properly educated during childhood. Because of this he did not learn any language other than his mother tongue of Arabic. Haşim's mother died when he was just eight years old, which affected him so deeply that he would reflect his melancholic thoughts and feelings about his mother over the entire course of his poetic career and never stopped mourning his mother's death until he died. According to lines Haşim wrote about his childhood, his mother was an sicjly and naive woman, his father was a kind but sad man - although some sources deny this, mentioning his father as a cruel husband and neglectful father - and Haşim was a dark and silent boy. 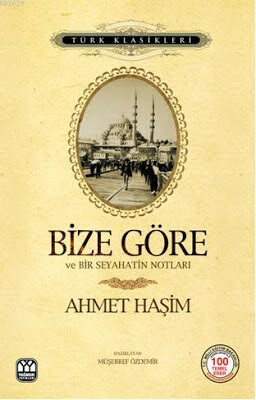 Ahmet Hikmet Bey took his sons and daughter to Istanbul after his wife's death. In 1895, Haşim was admitted to the Numune-i Terakki Secondary School, where he learned Turkish thoroughly for the first time. After one year there, his father arranged that Haşim attend the Sultani - now Galatasaray High School - as a boarding student. He made friends with peers such as Hamdullah Suphi, Emin Bülent, İzzet Melih and Abdülhak Şinasi, who would become famous poets, fiction writers and essayists in later years. The early poems were inspired and influenced by prolific Turkish poets of the time, including Muallim Naci, Cenap Şehabettin and Tevfik Fikret. Haşim also learned French and read French poets at the Sultani. He prefered the works of the symbolists, who are said to have a weighted influence on his own personal style. Haşim began to work as a public servant in 1906 while taking lessons at law school. He was unable to graduate, and in later years mostly worked as a teacher. He taught mythology at the Istanbul School of Arts and French at the İzmir Sultani and worked as a translator for two years at the Finance Ministry. After freedom was announced in Istanbul and Sultan Abdülhamit II's was ousted by the Union and Progress Party, Haşim became more interested in writing poetry. In 1909, he joined a literary movement called Fecr-i Ati (Dawn of the Future), a modernist and Westernist literary movement. Haşim was not a man of society. He attended only one meeting of the Fecr-i Ati. His main concern was to write his poetry. 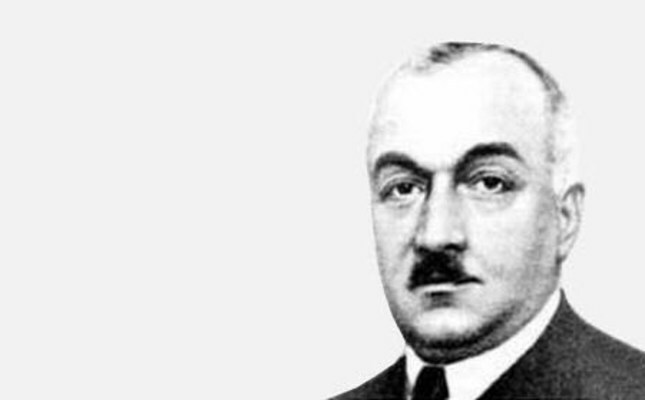 Despite his loneliness and silence, Haşim gained a good reputation in poetry circles thanks due to his extraordinary, symbolist poems. These were dark, sad, hard-to-understand poems. Poetry readers loved his innovations in style and the melancholy mood of his poems, and so he was encouraged to publish more. Haşim served in the army at Gallipoli during the entire World War I from 1914 to 1918. Most writers did not or could not join the war as soldiers. However, they wrote heroic pieces on the empire's war against imperialist forces, whereas the war hero, Haşim, never mentioned a word about his experiences. Rather he continued writing his personal and melancholy poems, deliberately denying any political or ideological approach to poetry. I think the only piece where he approached the genre of nationalist literature is "O Belde" (That Place), which is a utopic image of a happy country with melancholic people in "the continent of imagination." After the war, Haşim wrote columns for newspapers, which he collected later in a volume. In 1921, he began publishing the Dergah periodical together with his literary comrade Yahya Kemal. After a while, he published his first volume of poetry, "Göl Saatleri" (Lake Hours), which brought considerable fame to the poet. This was followed by "Piyale" (Wineglass), which was published in 1926. Haşim visited Paris and Frankfurt in his later years. He wrote notes about these visits to Europe and collected them in a book. He also published another book that had his newspaper columns. Haşim suffered from severe illnesses in his last years. He stayed in Frankfurt to receive treatment, but eventually returned to Istanbul and become even more ill.
Haşim died on June 4, 1933 in Kadıköy, Istanbul, and the swan would never sing again.